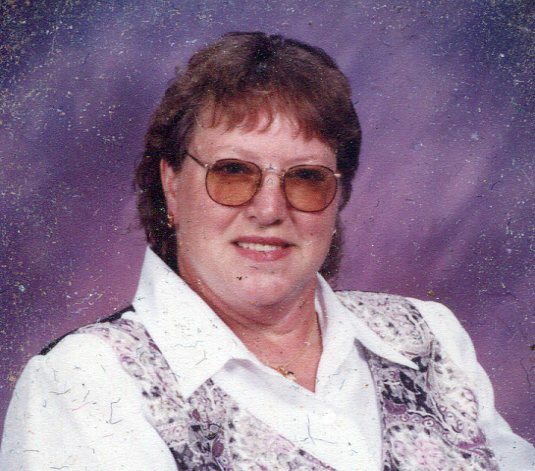 Marcella Ann Gaines, 74 of Champaign died at 8:44 a.m. Friday April 12, 2019 at Amber Glen Care Center in Urbana. Funeral services will be held on Wednesday April 17 at 10:30 a.m. at Renner-Wikoff Chapel & Crematory. Pastor Leland Collins will officiate. Visitation will be from 6 to 8 p.m. Tuesday at the funeral home. Burial will be in Grandview Memorial Gardens, Champaign. Marcella was born July 10, 1944 in Champaign, the daughter of Walter and Katherine Lorine (Axley) Hauersperger. She married Jack Gaines on May 21, 1962 and he survives. She is also survived a sister, Regina Robinson of Champaign, 4 grandchildren and 7 great grandchildren. She is preceded in death by her parents, daughters, Angela Schoonover and Marcia Gaines, 2 brothers and 1 sister. She is a graduate of Champaign Central High School and was a tassel assembler at Collegiate Cap & Gown. She was later a cafeteria worker at Holy Cross School in Champaign.